When it comes to moving back and forth for college students, some difficulties can be “Stored away” to help relieve some of that stress that only arises when it comes to relocating, even if it is just for the summer. But there is a common question that can be made, what should I take, and what should I store? 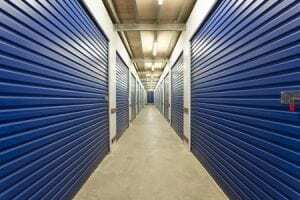 We at Xtra Storage not only specialize in assisting in knowing what and how the everyday person should store their things but have a long-standing tradition in aiding college students when it comes to storing their property. Here are some everyday college student items you may want to put into storage instead of bringing them home with you during the summer. A common extra item found in many a dorm room, the mini fridge has found its way into every college student’s life. Though this may be an appliance more valuable than gold to most students, it does become unnecessary when you are returning home. Storing it will also save you on all of the heavy lifting and chunkiness of having to house it with you. A portable microwave is another item found to be necessary for many a college student’s everyday life. The same issues can arise from this that occur with the mini fridge. We all make use of television in our everyday life as a way of unwinding and staying informed. The hectic life of a college student is in immediate need of this item to help keep some form of sanity but may find it unnecessary during their summer at home. Best to set it up in a storing unit. Though clothing is required for interacting with others in our everyday lives, they should match the current season’s weather. Winter clothes in summer are redundant and will add more in the way of problems than aid. Your parent’s place is already decorated, and there is no reason to decorate something that you will only be taken down in a few months anyway. This can be a tricky one, as you do not want to bring home books that you, in turn, will not need during the summer. Then again, you may have assignments due the following semester at the start of the class, due to the level of the course. Be sure to only take with you what you will need to use for study and assignments during the summer. Though different items used for various reasons, these two items fall under the same scope as items, your parents will have in ample supply. 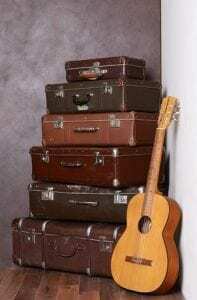 Best to have these items kept in storage during the summer.